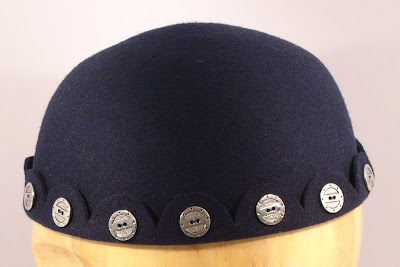 Here's my first batch of jughead hats. These, or ones like these, will be on my Etsy store by the end of the month. They're all handmade from vintage wool or fur hat felt. 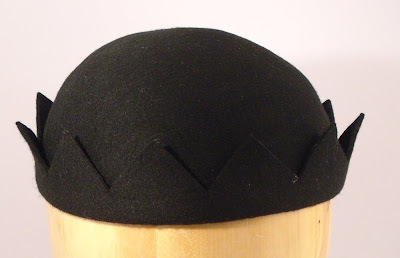 This one is totally classic, another crown-type in black wool. 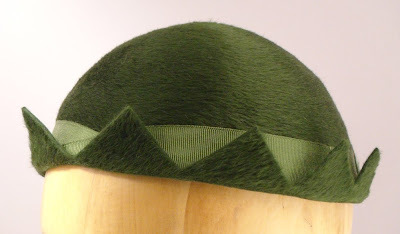 And a fancy one in green long-napped fur felt. 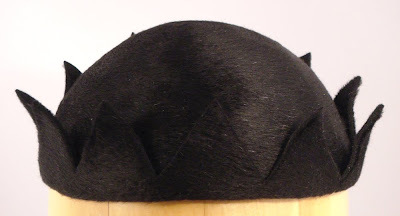 I've got a stack of different colored fur felts, like the first hat, waiting for similar treatment. 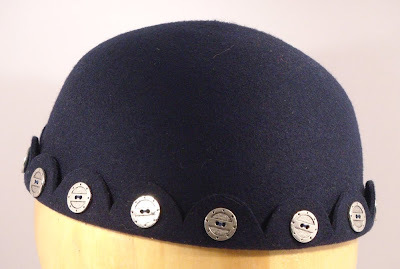 Making hats is fun!